Fit is consistent with past purchases. Just the right amount of stretch. 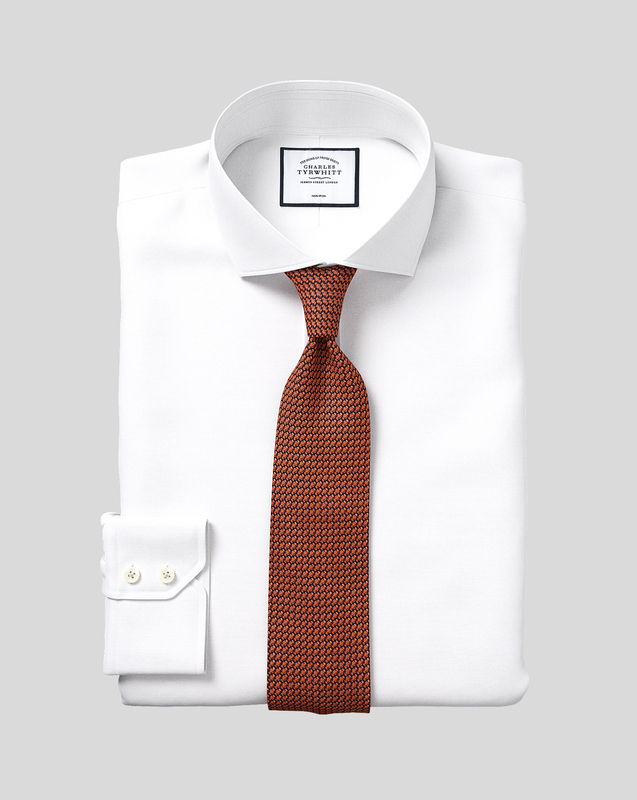 Response from Charles Tyrwhitt: The Oxford shirts are, for want of a better word, a touch more textured than some of the other weaves we offer, so may well attract a little more "fluff" than something like the Twill or Poplin. I can assure you that the same fantastic quality remains, however, so it's regrettable this experience has caused you to doubt this. I personally have this shirt and love it, but if you would like to return it to us for an exchange we would be happy to oblige under our no quibble 6-month guarantee. The feel and quality of the Oxford stretch was comparable to the fabric found in more expensive shirts. Response from Charles Tyrwhitt: I'm ever so sorry to learn that your most recent order from appears to have gone astray. I understand this may have been to do with an incorrect shipping address on the order, and thank you for reaching out to our Customer Service Team to report this. A replacement order has now been arranged for you and we'll have this shipped to the correct address using a priority shipping service. We appreciate your patience here and hope you will love your latest order once it arrives. They are a little too thin.